Since the mid-70’s Teen Challenge has been a part of the San Diego community. Located today near the east part of the county, this facility has been as much of a miracle story as the lives of those who have been helped by it. Spending nearly its first 20 years in existence moving from borrowed buildings to rented facilities it finally found a permanent home in 1996 when an abandoned 26,000 square foot former medical facility came available. With a deep trust in God’s continued provision, it was purchased. Abandoned, gang-infested, covered in graffiti, full of rubbish and rodents, the facility—like the men who would later go through it—needed a lot of help. However, with great care, patience and prayer, a total renovation was completed with the help of many volunteers who recognized the caliber of the impact a more equipped facility could have in this community. Today, one miracle after another continues to underscore God’s faithfulness and providence. San Diego Teen Challenge is a vibrant testimony to the community, city, county and churches of how God transforms the lives of the wounded and broken into something new and glorious. From mayoral recognition to city, police and county departments, as well as the public schools and the judicial system giving Teen Challenge credit and commendation for its vital role in the effort, San Diego Teen Challenge not only helps those long devastated by addiction, but also helps to meet the needs of local families. This includes its TCKids after-school Learning Center and feeding the hungry through its monthly Community Outreach in partnership with the San Diego Food Bank. In addition, its life-changing residential addiction-recovery services, Teen Challenge is pioneering the way to safer streets and a richer quality of living for those in this community. A life of crime and drugs left Herlindo Salinas homeless and hopeless. With nothing more than a dirty syringe folded up in a blood-stained bandana, his life was devastated by heroin addiction. After continual prison sentences and a long trail of destruction, little hope remained that he would ever change, but his praying mother never gave up, asking God and believing that one day her son would be transformed by God’s mighty power. 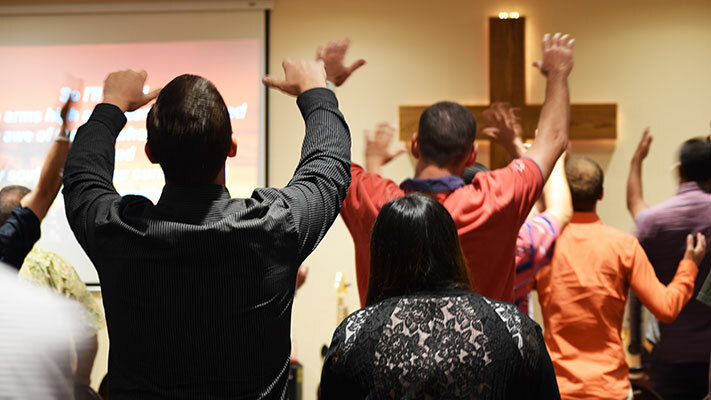 Those many prayers and God’s perfect timing led Herlindo to the discipleship ministry of Teen Challenge in 1990, where he discovered God’s love and the power to change his life. Herlindo successfully completed and graduated from the Teen Challenge residential program and feeling the call to continue to minister as a Teen Challenge staff member, went on to attend and graduate from the Teen Challenge Ministry Institute in 1993. Upon graduation, he accepted a position as a staff member at the San Diego Teen Challenge facility, where he continues to serve today. In 2007, Herlindo was selected to be the Director of San Diego County Teen Challenge. In this position, he has continued to be used by God to touch many lives and faithfully lead San Diego County Teen Challenge forward. 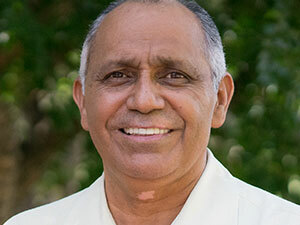 Among many different ministry accomplishments in more than 20 years of service, Herlindo is an ordained minister with the Assemblies of God and has served not just in Teen Challenge, but also in his local church as a Bible teacher. He and his beautiful wife, Joyce, reside in San Diego and are the proud parents of four adult children and six grandchildren. San Diego Teen Challenge reaches out into the surrounding communities with drug education and prevention, food distributions, clubs and a learning center for children, juvenile hall and jail ministry, crisis counseling, evangelism, and more. San Diego Teen Challenge is an induction facility for male adults who will complete three to four months here for the first phase of the program. They will then transfer to Riverside where the remaining part of the one-year program will be spent. The induction phase is designed to give the students time to deal with the initial acclimation process before going to Riverside where the caliber of the discipleship process is more in-depth and the student is given both more freedom and responsibility to explore. The students here will attend daily classes designed for new believers as well as attend chapel services, worship services and take part in different group settings designed to lead the students to a place of mental, emotional, social, physical and spiritual health through biblical principles. Teen Challenge is not a medical or mental health based recovery facility but uses the biblical discipleship model as an approach to recovery. In addition, students will visit local churches where they are given opportunity to share what God is doing in their lives as well as participate in community events, outreach efforts and supervised work activities. From fundraising to work projects that instill a sense of accomplishment and responsibility in the lives of the students, the typical Teen Challenge student develops a good work ethic and learns how to have healthy relationships.